Learn more about our work with Juniper, helping create and redefine several of their enterprise products. Explore how we have partnered with TRUSTe to design their cloud-based Data Privacy Management Platform. Discover how we improved the user experience and overall design of Agnity's healthcare communication app. Read about the marketplace we created to serve contract writers and the customer businesses seeking their services. 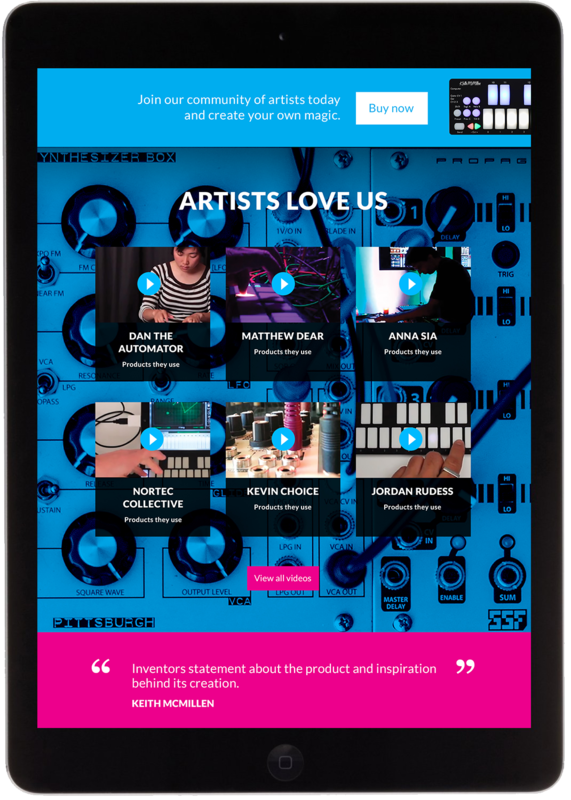 See how we reimagined KMI's website and product showcase to deliver a media-rich experience suited to their instruments. Keith McMillen is a designer and creator of electronic musical instruments. He has been practicing his craft for over 35 years, with a mission to bring new sounds and innovative instruments into the hands of musicians across all genres. Keith and his company, KMI, came to us to reimagine their website and product showcase. 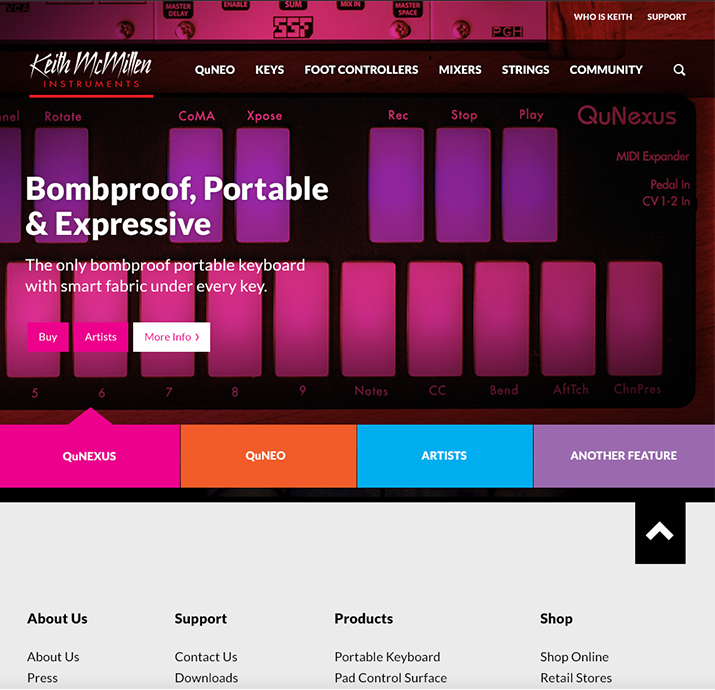 "Bombproof, portable and expressive." 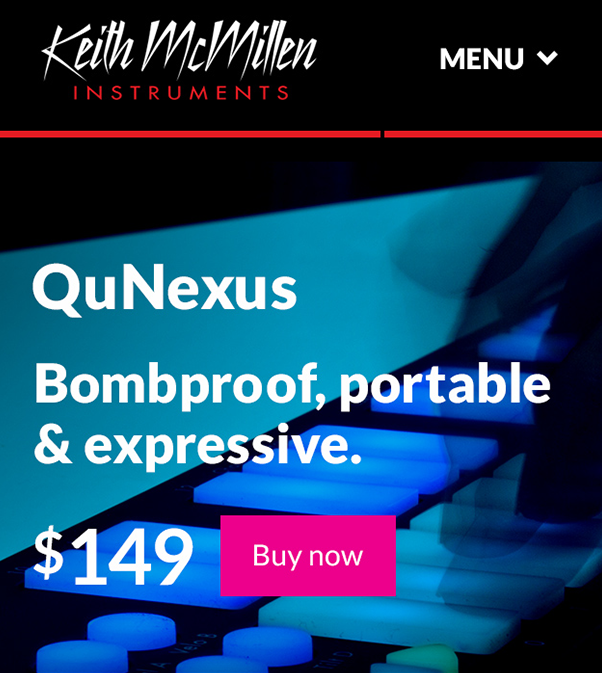 It's how Keith McMillen Instruments describes their smart-fabric based keyboards and electronic instruments, and can readily be used to describe the task we were given in designing their online presence. We sought to bring their instruments to life using a rich color palette, bold fonts and enticing product imagery. The result was a media-rich experience of glamorous product shots, videos, and a community space for artists to share their experiences and build upon other artist creations. We worked to ensure that the site echoed the experience of its products, making it as tactile and engaging to explore as any one of KMI's digital instruments. Juniper Networks is an industry leader in network management software, security products and software-defined networking technology. They asked us to help create and redefine several of their enterprise products. Working closely with the in-house Juniper team, we developed easy-to-use orchestration and cloud-based management tools to deliver innovative new capabilities in the competitive space of network management and security software. 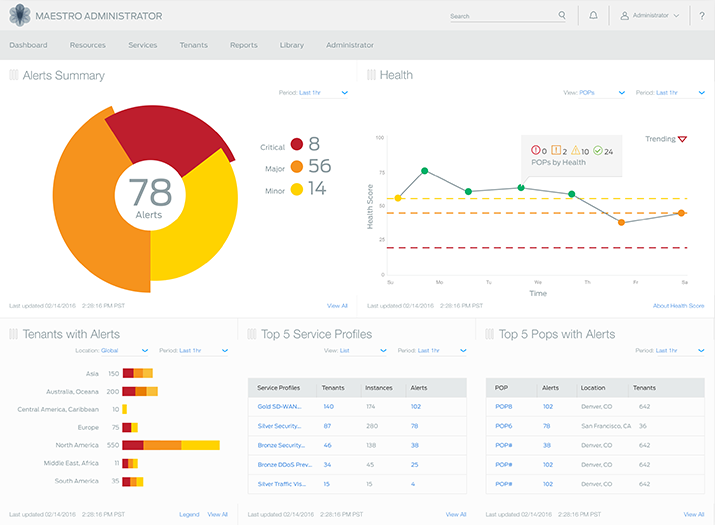 Juniper challenged us to design a dashboard for their management suite that would deliver real-time analytics for highly scaled multi-node networks. 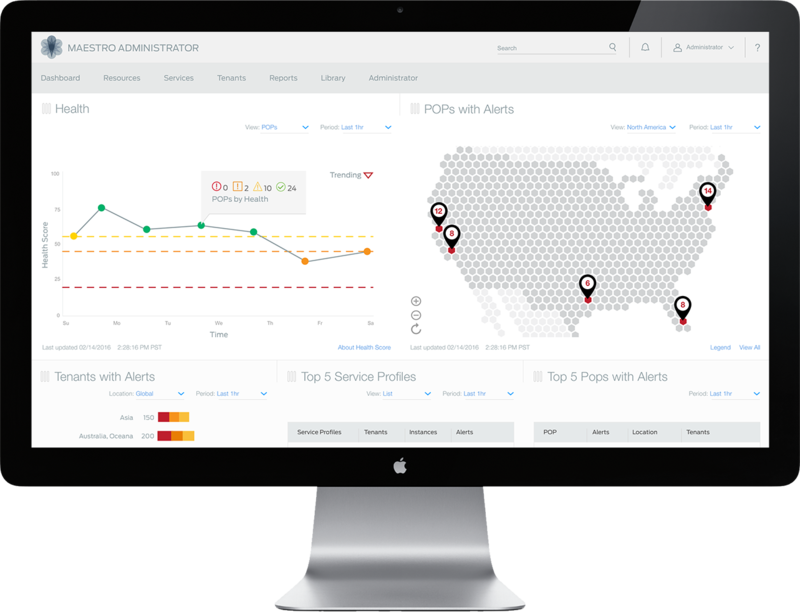 The dashboard we created allows users to monitor key performance indicators, access strategic data, and launch remediation workflows. Dashboards can quickly confuse and misdirect by either overwhelming the user with data or oversimplifying information to the point of being meaningless. Both cases increase the cognitive burden on the people they are designed to serve. Our deep background in data-driven design enabled us to guide Juniper in striking the right balance of information, context, and visualization in order to address the needs of network administrators. 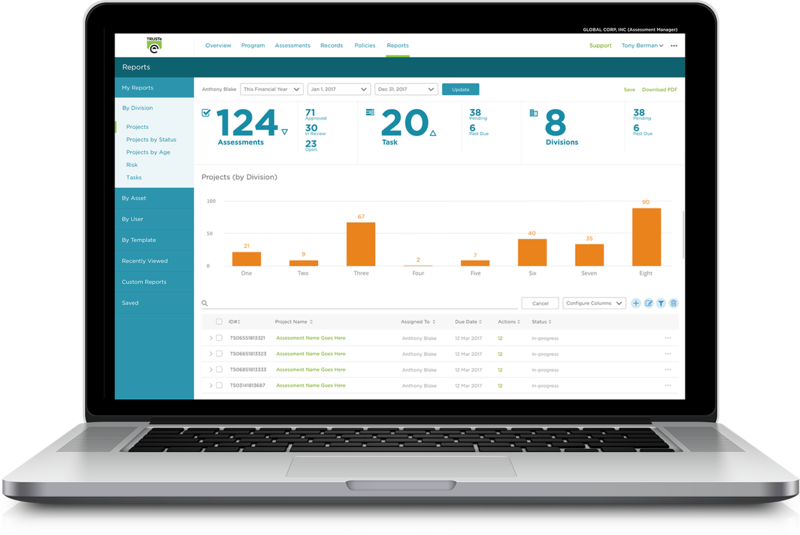 Our design for Juniper provides users with the flexibility to organize dashboard widgets and customize data-sets to best suit their day-to-day objectives. 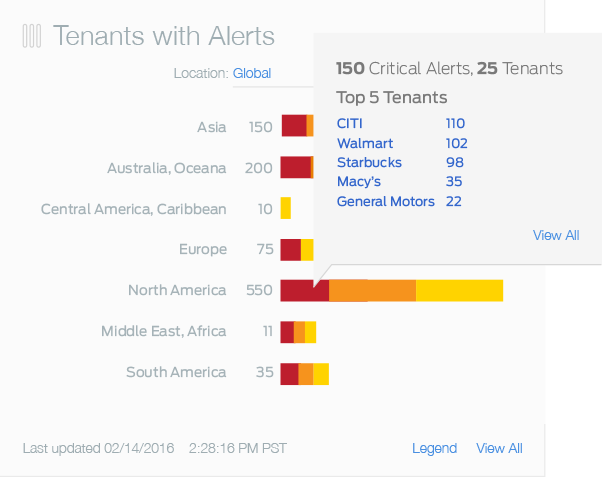 It alerts administrators to critical network concerns and tasks which need to be addressed, before guiding them through a prescribed workflow to help resolve those identified issues. 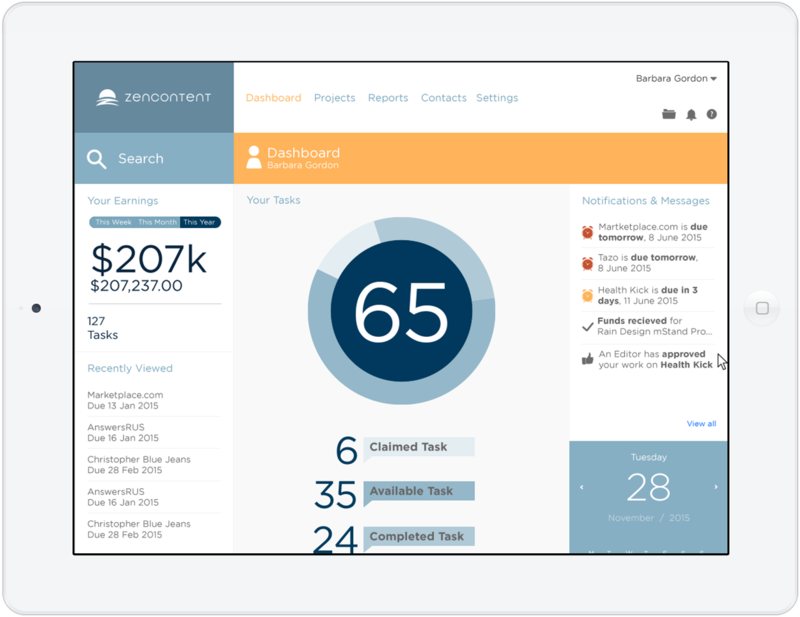 ZenContent's founders engaged us to be their design team in creating a marketplace that optimally serves the content creation needs of both contract writers and the customer businesses seeking their services. 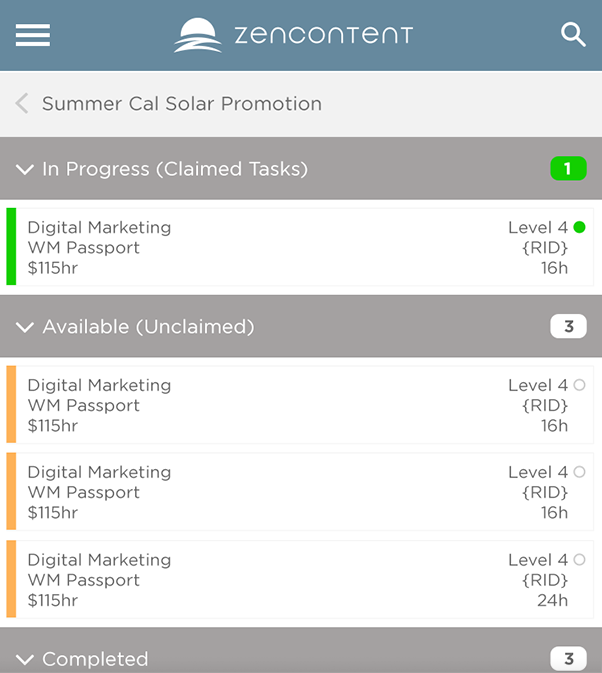 We worked closely with ZenContent to deliver an easy-to-use application for pairing businesses with writers from a global pool of content experts as readily as if they are all working in the same location and time zone. We created a marketplace whose key functions include job pricing/bidding tools, resource/task management, and live collaborative document editing/commenting. Our design enables writers and other content creators to bid on projects suited to their expertise, to easily monitor the status of their work product, and to clearly understand how much revenue they are generating. On the customer side, companies have the ability to monitor their projects from bid through completion, as well as track each step of the creator's workflow and milestones. 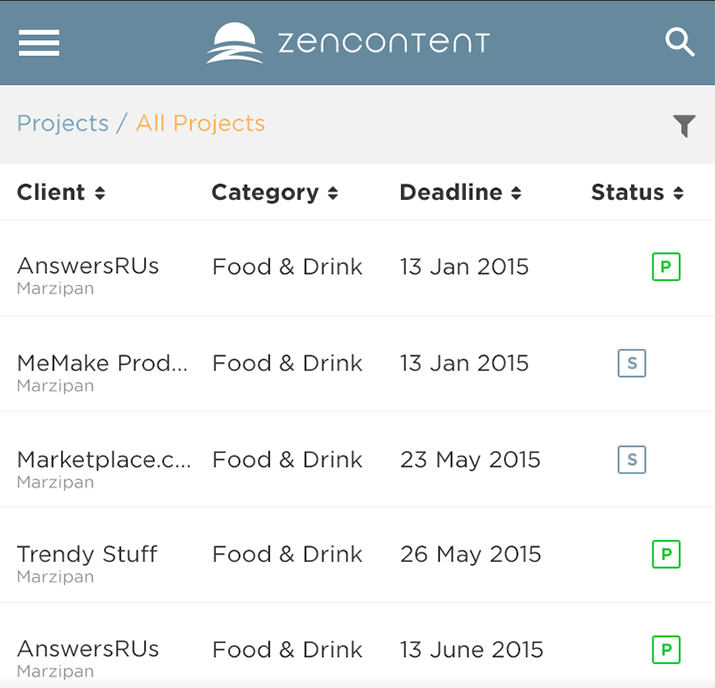 The marketplace we designed aided ZenContent in growing their business from a startup to a core service within parent company IZEA's content marketing platform. We did so by helping them attack the core issue of content quality, through a milestone-based service which enabled them to nurture and coach their contract writer community throughout the editorial process. TRUSTe provides data protection, privacy compliance, risk management, and certification solutions for thousands of businesses around the globe. They have partnered with us to design their cloud-based Data Privacy Management Platform. Working closely with TRUSTe, we have identified and designed core workflows for creating and publishing privacy assessments. 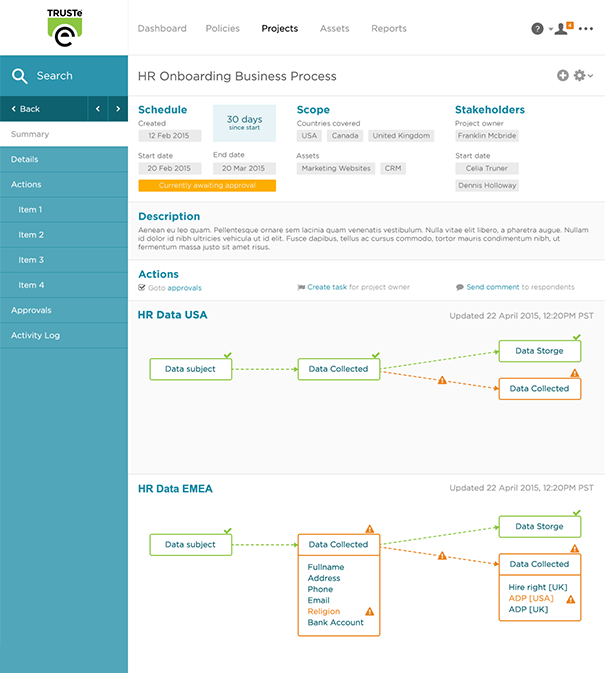 We have helped transform complex analog processes into intuitive online workflows which we've enhanced with data-driven dashboards, custom reporting, and integrated task and resource management. Along the way, we have developed a interaction pattern library, defined a visual language for the platform, and built toolkits for their developers to use in building their Data Privacy Management Platform. The product that we co-created with TRUSTe enables their customers' privacy teams to obtain, in a straightforward manner, detailed information about how customer data is being used and then compare these responses against global privacy regulations to determine compliance. 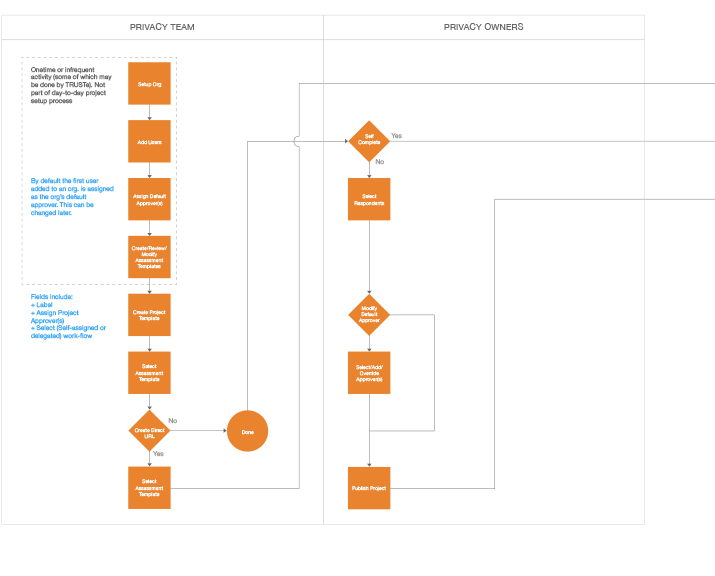 Our workflows allow product teams to proactively address privacy standards as an integrated part of their development process rather than having to remediate issues after a product has been released. Agnity Global is a leading provider of communication applications and services for the telecommunication and healthcare markets. 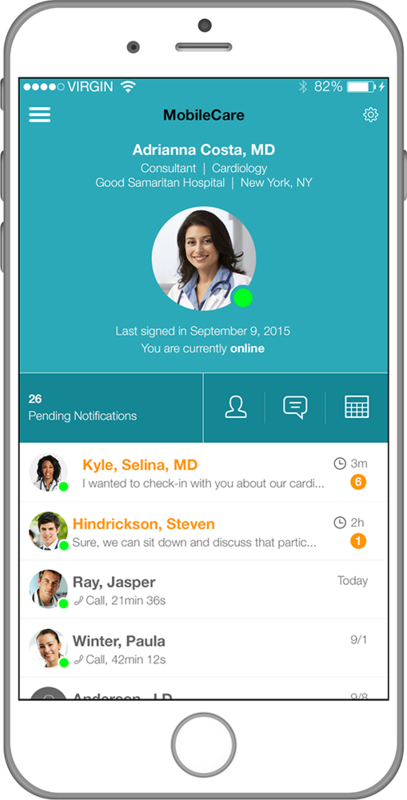 They hired us to improve the user experience and overall design of their mobile healthcare communications app employed by physicians and hospital teams in managing patient care. We reassessed the needs of Agnity's target audience and streamlined workflows for greater ease of use, while completely refreshing the UX and visual design of the app. We improved users' ability to share confidential patient records, including imaging records and labs. Our design retooled what was a fragmented messaging experience and offered users the capability to seamlessly move between video, voice and text modes of communication. 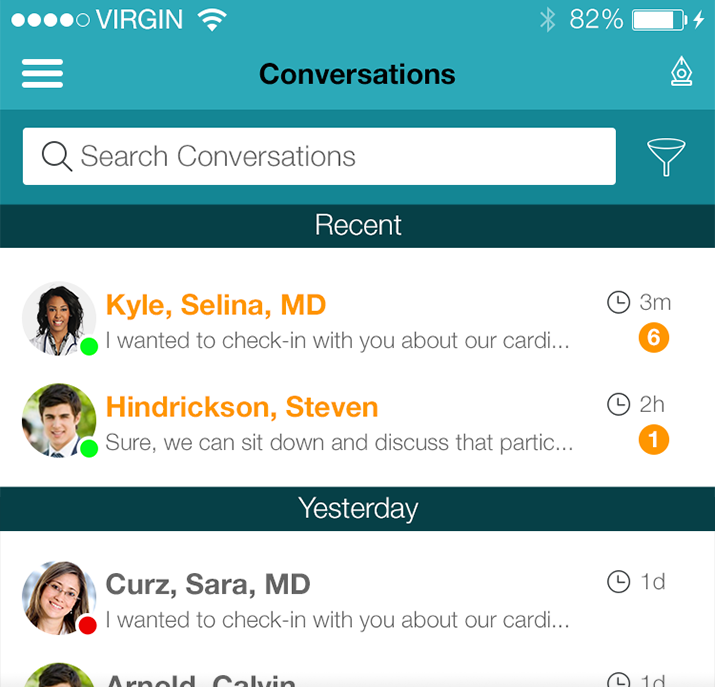 We refined the ability of providers to invite patients into the communication process, giving them a view, at the appropriate level, into their care management. Taking into account the varied needs of patient management, we provided care teams with tools to annotate diagnostic scans for the purpose of treatment discussions. 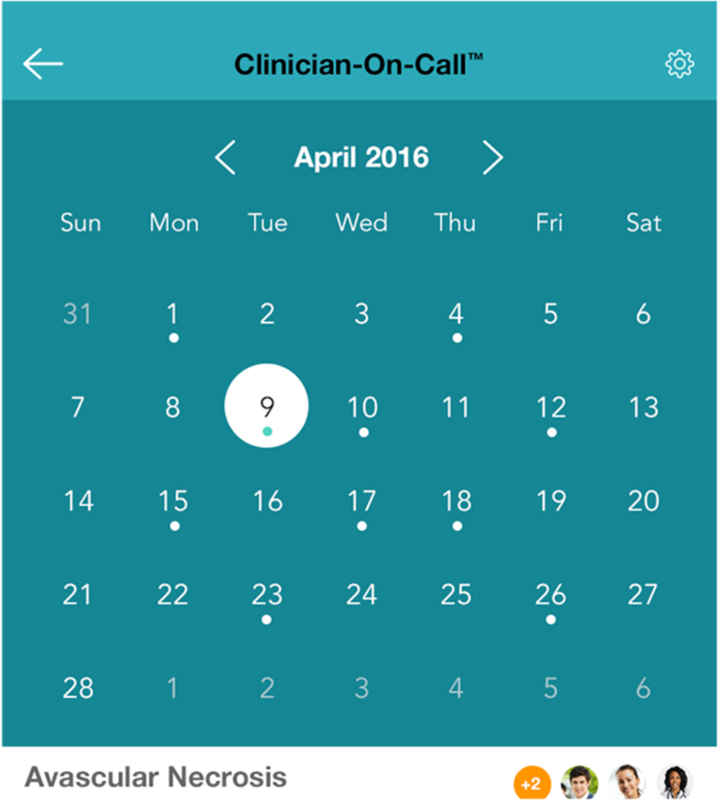 Our integrated calendar function facilitates meeting scheduling and identifies on-call clinicians at any given moment. These enhanced and redesigned functions have helped Agnity to address customer feedback regarding prior unmet needs and to further expand the company's customer base.